The goals of Imam Abdulrahman bin Faisal Hospital is to provide the National Guard personnel and their eligible dependents with the highest quality and continuity of healthcare services, while ensuring efficiency and proper utilization of available resources. The hospital accommodates 112 beds, an Intensive Care Unit of 6 beds, Neonatal Intensive Care Unit of 5 beds, 4 Operation Rooms, and 4 Delivery Rooms all equipped with the latest high-quality medical devices to provide the best services for patients. General Surgery, Internal Medicine, Gastroenterology, Pediatrics, Obstetrics and Gynecology, Family Medicine, Ophthalmology, Dentistry, Endocrinology, Orthopedic Surgery, Pulmonary, and Neurology. All clinics are equipped with the latest equipment and advanced technology such as the device to measure lung function. The Emergency Department has up to 4000 patients per month where there are high quality medical services. In addition to that there is the Medical Imaging Department which is equipped with advanced equipment and techniques such as Computerized Tomography Scan and Ultrasound. Laboratory and Blood bank which has the state of the art equipments. The hospital consists of Cardio Unit and Endoscopy Unit that was recently started by his Excellency the Chief Executive Officer of National Guard Health Affairs. The Administration building contains the office of the Deputy Executive Director of the Medical Services and the Deputy Executive Director of the Operational Services. It also includes the auditorium where scientific courses are held for the medical staff with latest technology to broadcast live operations from the operation room. In addition to that there is a conference room equipped with advanced technology to conduct video conferences between Al Ahsa, Riyadh and Jeddah. The building also contains several administrative offices. There is an outside building that contains staff housing, gym, and recreational playgrounds. By the guidance of his Excellency the Chief Executive Officer of National Guard Health Affairs, Imam Abdulrahman Al Faisal was able to develop medical services, treatment eligibility and the Business Center that serve National Guard personnel and their eligible dependents. Imam Abdulrahamn Al Faisal Hospital has excelled in the treatment of obesity under the supervision of outstanding medical team to conduct rare gastric bypass surgeries in the region. 399 successful surgeries have been carried out so far. There is Obstetrics and Gynecology clinic that is run by specialized consultants with the latest equipments. There is also an Asthma clinic for immune and biological treatments which are advanced ways of treating difficult cases of chronic Asthma under the supervision of specialist consultants. These services are scarce in the region, where the hospital receives referred cases from other hospitals in the region. Recently there was a cornea transplant at Imam Abdulrahman Hospital which was carried out by trained efficient medical staff. In addition to that, a Patient Relations Department was opened to preserve patients\' rights and make sure that the best medical services are provided. 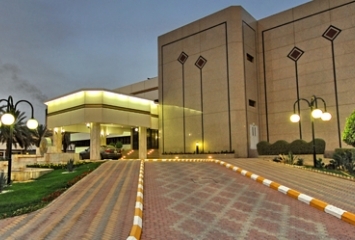 Imam Abdulrahman Hospital\'s location between Dammam, Al Khobar and Dhahran -the most important cities in the eastern region- make it a strategic location.